Malverne High School’s Community Service Club hosted a blood drive this week. Students donated 42 pints of blood helping to save more than 120 lives. In November, 47 pints were collected in a drive, for a total of 89 pints this year helping to save close to 300 lives. Most donated blood stays local, but in extreme emergency situations blood can be flown anywhere in the U.S. or the world. This district thanks the students and community for their donations. 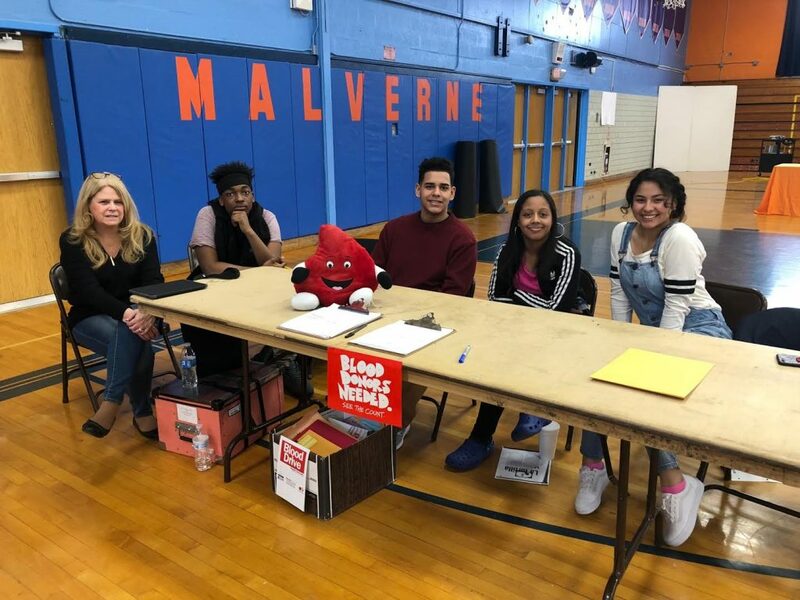 Photo caption: Malverne High School’s Community Service Club recently hosted a blood drive that collected 42 pints of blood.